Stephen Quin and Stephen Lamble have published a book on how the Internet is changing journalism The title is Online newsgathering. Research and reporting for journalism. In this book, the authors alaysed how technology is changing the journalists’ routines, how blog are and increasing tool for research and newsgathering, or how to find trustful information beyond Google. The book analyses citizen-jorunalism and used-generated content, and wonders how to evaluate information quality. Finally, some chapters are dedicated to Computer-Assisted Reporting. The handbook gives as well a chapter which gathers useful websites and links for journalists. Venezuela is one of the Spanish language countries where the studies about cyberjournalism are young but increasingly growing. The first academic meeting was in 2004, the I Forum of Online Journalism [I Foro de Periodismo Digital], organised by the Central University of Venezuela in Caracas. Some other academic events have taken place since then, and some books have been published as well, i.e. Miladys Rojano’s Diez años de periodismo digital en Venezuela , 1996-2006 [Ten years of online journalism in Venezuela, 1996-2006]. Now a new book is added to the bibliography on the subject in Latin America. Carlos Arcila (University of Los Andes y Táchira) has coordinated a book entitled Comunicación digital y Ciberperiodismo. Nuevas prácticas de la comunicación en los entornos virtuales [Digital communication and Online Journalism. New practices in digital enviroments’ communication]. 10. Ethical training of journalists in the digital era: articulations and tensions (Fernando Villalobos G. and Marialejandra Montiel de Rodríguez). As a fruit of an international cooperation amongst two research networks from Brazil and Spain, a new book has been launched at the end of 2008: Metodologia para o estudo dos cibermeios. Estado da arte & perspectivas [Methodology for the study of online media. State of the art and perspective], coordinated by Javier Díaz Noci and Marcos Palacios. The book gathers the contribution of more than 40 researchers of both countries, papers that were presented at an encounter held in the Faculty of Communication of the Federal University of Bahia (Brazil) in December, 2007. The book was presented at the second meeting held in Sao Paulo in November, 2008. The volume has been published by EDUFBA, the publishing house of the University Federal of Bahia. The text are in Portuguese or in Spanish. A more destilled version of the book will be published in 2009, in English, to offer the international community the points of views, trends and perspective of the methodological work done by this internationl network. 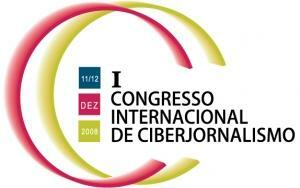 The First International Congress on Cyberjournalism will be held in Porto (Portugal) next December. Organised by the Observatory of Cyberjournalism, Center of Technology and Communication Science Studies, the Congress has a its main subject “Journalism 3G”. More especifically, speakers and papers s will try to explain convergence and multitextuality, backpack journalis, journalism and blogging, and citizen journalism. Six professors will take part as speakers in the Congress. They will be Joao Canavilhas and Helder Bastos (authors of two recent doctoral thesis) from Portugal; Ramón Salaverría from Spain; Beth Saad from Brazil; and Rosental Calmon Alves, from the United States. Eric Krangel and Mark Deuze will talk to the audience virtually using videoconference. As an advance, Mark Deuze has written a post in his blog. 25 papers will be presented during the Congress. These papers are written in Portuguese, Spanish, Galician or English. The Congress will take place on December 11 and 12, 2008, at the University of Porto.